Linda L. Price (BA, MBA University of Wyoming, Ph.D. University of Texas at Austin) is currently the Philip H. Knight Chair and Professor of Marketing at University of Oregon. Linda’s theory and research is published in leading marketing and social science journals including Journal of Consumer Research, Journal of Marketing, Journal of the Academy of Marketing Science and Organization Science, and combines qualitative and quantitative methodologies to examine consumer and collective identity and adaptation, social influence and network interactions, and how consumers’ emotions and imaginations enrich, distinguish and give agency to their lives. Her research has been and is currently funded by a variety of agencies including USDA, and Marketing Science Institute. She has published books, chapters and over 70 articles that have collectively garnered over 15,000 citations. As part of her interest and commitment to collective identity, adaptation and relevance she has served in several leadership roles in academic consumer and market related organizations. She was part of the inaugural Consumer Culture Theory Consortium Board and also co-chaired and hosted the CCTC conference in Tucson, AZ in 2013. She has served as President of the Association for Consumer Research and is currently finishing her term as President of the American Marketing Association Academic Council. She also serves on the Board of Governors’ for the Academy of Marketing Science. She has served on the Advisory Board for the Journal of Consumer Research, and currently serves on the Advisory Board for the Journal of the Association for Consumer Research. 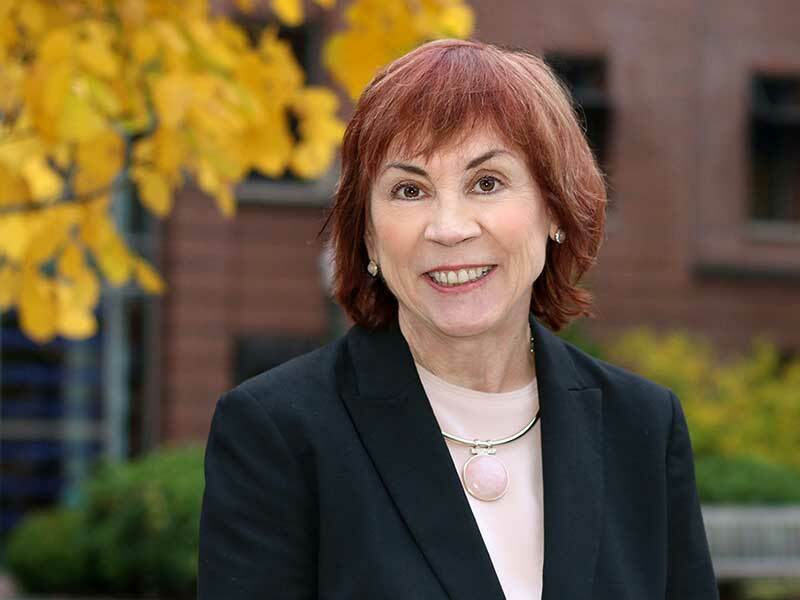 Over her career, Linda has taken an active leadership role serving on numerous editorial boards, conference program committees and co-chairing several conferences and doctoral consortiums and symposiums. She currently serves as AE for Journal of the Academy of Marketing Science and on the editorial board for Journal of Consumer Research. She has also received many marketing honors and awards including the 2015 AMA Consumer SIG Lifetime Achievement Award, the 2013 Academy of Marketing Science Cutco/Vector Distinguished Educator Award for Lifetime Contributions to Marketing Scholarship, and the 2013 College of Business Distinguished Alumni Award from University of Wyoming. One of her most important joys is the work she has done from the very beginning of her career: working with and mentoring PhD students, watching them blossom and grow. Price, Linda L., Ainslie Schultz, Robin A. Coulter, and Yuliya Strizhakova, “The Fresh Start Mindset: The Transformative Power of Consumers’ Belief That Fresh Starts are Possible,” Journal of Consumer Research. 2nd revisions requested, versions presented. Price, Linda L., Sheldon Koufman, and Tandy Chalmers Thomas, “The Evolution of a Family Identity.” Presented at Consumer Culture Theory Conference, summer 2016, data analysis and write-up in progress. Price, Linda L., June Cotte, and Robin A. Coulter, “The Untold Story of Consumers’ Experience and Management of Depletion.” Data collection phase, research funded by SSHRC. Price, Linda L. and Rebecca Hamilton. "Consumer Journeys: Introduction to the Issue," Journal of the Academy of Marketing Science, forthcoming 2018. Price, Linda, Yuliya Strizhakova, and Robin Coulter. "The Young Adult Market in Emerging Markets: Assessing Their Bi-Cultural Identity in a Global Marketplace," International Journal of Research in Marketing, 29, no. 1: 43-54. Price, Linda, Yuliya Strizhakova, and Robin Coulter. "Branded Products as a Passport to Global Citizenship and Consumer Involvement with Brands: The Mediating Effects of Quality and Consumer Identity," International Journal of Research in Marketing, 28, no. 4: 342-351. Price, Linda L., Lawrence F. Feick, and Audrey Guskey-Federouch. "Everyday Market Helping Behavior," Journal of Public Policy and Marketing 14, no. 2: 255-266. Price, Linda L. and Robert J. Fisher. "The Relationship Between International Travel Motivations and Cultural Receptivity," Journal of Leisure Research, 23, no. 3: 193-208. Price, Linda L. and Christine Moorman. "Consumer Policy Remedies and Consumer Segment Interactions," Journal of Public Policy and Marketing 8: 181-203. Price, Linda L., Robin A. Higie, and Lawrence F. Feick. "Types and Amount of Word-of-Mouth Communications About Retailers," Journal of Retailing 63, no. 3: 260-278. Price, Linda L. and Deborah J. MacInnis. "The Role of Imagery in Information Processing: Review and Extensions," Journal of Consumer Research 13, no. 4: 473-491. Price, Linda L., Eric J. Arnould, and Risto Moisio. "Making Contexts Matter: Selecting Research Contexts for Theoretical Insights." In Handbook of Qualitative Research Methods in Marketing, edited by Russell Belk, 106-127. Thousand Oaks, CA: Sage Publications. Price, Linda L. "How ‘Consumer Culture Theory’ Became A Category and What Now." In Handbook of Consumer Culture, edited by Olga Kravets, Pauline Maclaran, Steve Miles and Alladi Venkatesh. Thousand Oaks, CA: Sage Publications. Mohr, Jakki, Linda L. Price, and Aric Rindfleisch. "Marketing's Quest for Environmental Stability: Persistent Challenges and New Perspectives." In Review of Marketing Research, 13. Price, Linda L. "Loyalty and Brands in Consumers' Assembled Lives." In Strong Brands, Strong Relationships, edited by Susan Gournier, Michael Breazeale, and Jill Avery, 13-27. New York, NY: Taylor & Francis Group. Price, Linda L., and Amber M. Epp. "The Heterogeneous and Open-Ended Project of Assembling Family." In Assembling Consumption, edited by Robin Canniford and Domen Bajde, 59-75. New York, NY: Routledge. Price, Linda L., Russell B. Belk, and Lisa Peñaloza. Research in Consumer Behavior, Vol. 15. Bingley, West Yorkshire: Emerald Publishing Ltd.
Price, Linda L. "Family Stuff: Materiality and Identity." In The Routledge Companion to Identity and Consumption, edited by Russell Belk and Ayalla Ruvio, 302-311. New York, NY: Routledge. Price, Linda L., Renming Zhihong Yi, Jing Jian Xiao, and June Cotte. Asia-Pacific Advances in Consumer Research. Price, Linda L., and Amber M. Epp. "Family Time in Consumer Culture: Implications for Transformative Public Policy." In Transformative Consumer Research, edited by Cornelia Pechmann and Julie Ozanne, 599-621. New York, NY: Taylor & Francis Group. Price, Linda L., Carolyn Folkman Curasi, and Eric J. Arnould. "Chapter 7: The Aging Consumer and Intergenerational Transmission of Cherished Possessions." In The Aging Consumer: Perspectives from Psychology and Economics, edited by Aimee Drolet, Norbert Schwarz, and Carolyn Yoon, 149-173. New York, NY: Routledge.